We're sharing the love this February! 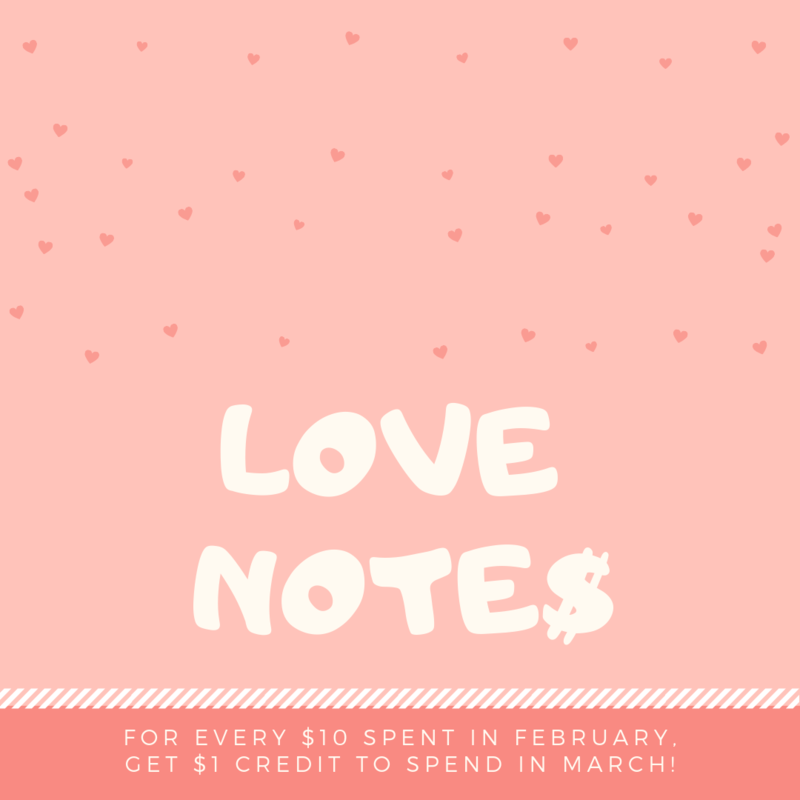 For every $10 you spend in the shop or on our website* from February 1 - 28, you will get $1 in credit to spend in March! No coupons or punch cards - our magic computer will keep track! *valid on merchandise and classes, not valid on gift cards or shipping charges.